Smart Young male between 23-35 years of age. Have G.C.E. 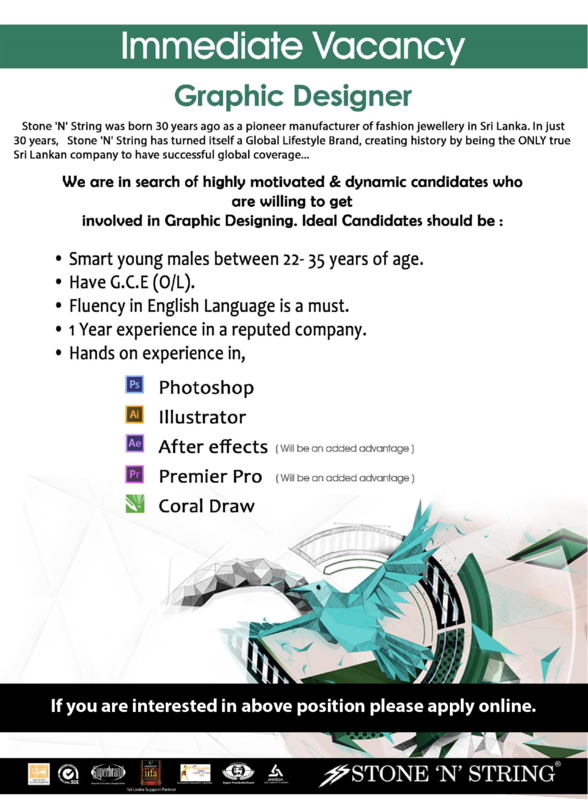 (O/L) Fluent in English Language is a must. 1 Year experience in a reputed company. Hands on experience in photoshop, Illustrator, After effects, premier Pro, Coral Draw.